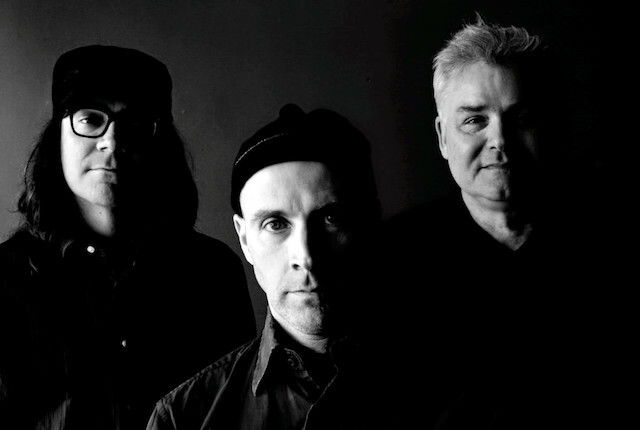 The Messthetics are a power trio comprised of Fugazi‘s rhythmic architects, drummer Brendan Canty and bassist Joe Lally, alongside guitarist Anthony Pirog. The trio are touring in January and February next year in support of their self-titled debut which was released via Dischord Records in Spring this year. Dates and further details below. Bands can be dangerous when their members have accrued enough mileage to see their chops season into something like musical wisdom. When that understanding has the rare opportunity to percolate through a collaborative environment founded in love and anchored in gratitude, well, then things can get rather intense. Anthony Pirog writes difficult music because original music usually is. Yet the ideas that he feeds through The Messthetics are embraced by the Canty-Lally time machine, not just with precision and nuance, but with soul, joy, and groove. These last three are, indeed, the big guns in this spiritual war that music must become in the post-Trump era. Recorded by Brendan Canty in their practice space, the trio’s debut is comprised of eight original compositions of decisive instrumental music and one cover. Their sound is guided through complex changes and harmonic densities that might compound, but never confound or muddy its connection with the listener’s body. Anthony Pirog’s guitar textures and styles are exchanged as freely as an octopus changes patterns. Brendan Canty maneuvers through this rhythmically shifty music with a fluid briskness that is periodically disrupted by the clang of his bell (a piece of kit that he brought back from the Fugazi days) and Joe Lally locks into a rock-solid groove, from which he explores eastern rhythms and interesting harmonies.